Trying to figure out what to do when alcoholism has a hold over you or a loved one is hard. Probably one of the hardest things you will ever have to do. Well, I'm here to tell you that it's possible, and what to expect. I'm a recovering alcoholic, and I want to try and explain what a person goes through when they quit drinking. A big problem I had before quitting was being afraid of what would happen to me. Knowing what to expect makes it easier to deal with when it happens. You might be miserable, but you won't be caught off guard. This article is written from a drinkers perspective, because that's what I know, but should still be helpful to friends and family. First, why should you listen to me? To put it simply, just know that for nearly a decade I drank heavily. 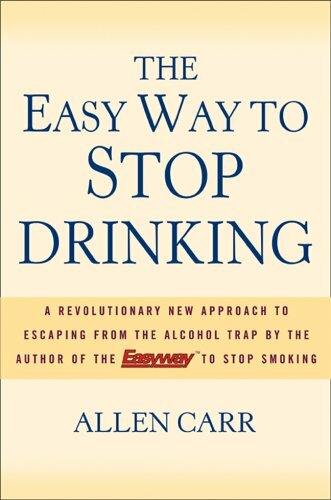 Before quitting, I had been drinking daily for years. When I finally gave it up, drinking from the time I woke up until I passed out for days on end was my reality. I've been hospitalized a dozen times as a direct result of alcohol. My drinking was severe, but I am sober now. It was rough, but I got through it. So can you. If you plan to stop drinking, the first thing you need to do is see a doctor. If you get shaky, anxious, nauseated, have a fast heartbeat, or anything else that indicates you may have some physical dependency, this is unbelievably important, because withdrawal is dangerous. I went into spasms and heard voices when I tried to stop. I hadn't been sober for a single day in so long I couldn't remember. This is serious business, so be careful. If you don't have signs of physical dependence, or you have stopped for some time before with no ill effects, you might simply have to prepare for an uncomfortable few days, not hell on earth. Abstinence after any period of heavy drinking, even if not daily, is very stressful on the body. See a doctor no matter what. I am not a medical professional, and everybody is different. The first night will, most likely, be terrible. I suggest you try committing to quit sometime when you can be useless for a day or two. I'll mention why in a bit. If you have a time of the day when you normally start drinking, around that time you will probably find that your heart rate increases. There will be anxiety. You may have a sudden, powerful urge to go buy alcohol. Know that this is normal. Your brain and body have become used to being powerfully sedated at a certain time, and when this doesn't happen, they think something has gone wrong. In the same way that a starving man might go to any lengths to get food, you will be energized to get moving and fix the "problem." You will probably be familiar with the idea that drug addicts will steal, beg, or do anything to get money. This is what causes that. There is nobody more motivated than a drug addict who is after drugs, and make no mistake, alcohol is an addictive drug. Your brain is literally releasing energizing chemicals. Even if you have maintained a normal life as a drinker, this same motivation will hit you. The urge to go to the liquor store, or the gas station, or wherever you buy alcohol may feel overwhelming. Almost universally, however, it will pass. For me, the feeling dies off around 1 in the morning, when alcohol sales stop in my state. It will probably be different for everybody, but know that at some point you will feel some relief. Reason will kick in and you will be able to say to yourself, "there is a reason I don't want to drink." And you will accept it. After this, you still have the rest of the evening to deal with. A lot of things might happen this first night. It doesn't matter if you are a social drinker or if you, like me, drank almost exclusively alone. You will be bored. You may not be sure what to do with yourself. Sleep will probably be the last thing on your mind. My advice is to take a bath. Seriously. There is a good chance you will be agitated, hot, and sweaty. Taking a bath will help with this a lot. Next, do something relaxing. I like to read. I almost never read at night because that was my drinking time, and it can feel very rewarding to do something productive during that time you normally waste. If you aren't much of a reader, pick your own thing. Watch tv, draw, listen to music, whatever. Find something that calms you and do it. You may find that something very odd ends up being what comforts you. Other than reading, the show Parks and Recreation has been a huge help for some reason. One night I ended up watching a full season. I can't explain why, but it kept me sane. The thing that keeps you from going nuts could be something you never enjoyed before, who knows. To this day, if I want to drink, Parks and Recreation can calm my nerves. It's very strange, but it works for me. A quick note, if you are very heavily addicted, you may find yourself violently ill for a while. It depends a lot on the amount and frequency of your drinking. This is another reason you should A: See a doctor first, and B: Make sure you have no obligations. I was vomiting every 10 minutes for an entire day when I came off my longest binge, and that has happened to me more than once. I learned to treat it like you have the flu, or food poisoning. Drink plenty of fluids, don't strain yourself, eat very light. Crackers and broth. That kinda thing. The truth is you are sick, so act accordingly. As the night goes on, eventually you will realize you need to sleep. Before my sobriety "stuck" I tried a few times, and it seemed one of two things happened. You might be incredibly exhausted. If you stay out frequently and drink, or stay up very late drinking, this may happen. If it does, you get to skip to the next part. If you are not exhausted, you will probably be wide awake, feeling like you will never sleep again. You may not sleep at all. I've had more than one night coming off the drink that I did not sleep at all. If this happens, hopefully you will be able to sleep the next day. You will sleep eventually, and when you do, the nightmares come. The nightmares. This is something I didn't realize was nearly universal until not that long ago. For years, I thought my drinking was helping me prevent the nightmares I had when I tried to not drink. It turns out, it's the drinking that causes them. It is well documented that alcohol interferes with REM sleep. However, the brain doesn't like that interference. What ends up happening is your brain tries to compensate. This means you will have almost non-stop REM sleep. That, combined with the anxiety and stress you already feel, means you will have nightmares. Terrifying, realistic, panic inducing nightmares. Even if you fell asleep easily, you most likely will wake up. A lot. Probably covered in sweat. This is normal. Keep in mind that it gets a lot better as time passes. Nightmares are common for recovering alcoholics and drug addicts, but almost nothing will compare with that first night (or second, whenever you manage to fall asleep). It is for this reason I do NOT suggest trying to take sleeping pills to help you sleep for at least a little while after you quit. I had the extreme displeasure of being prescribed powerful sleeping pills once. My experience was such that I had these nightmares, but my body was so drugged I could not wake up. That night was one of the worst of my life. If you make it through that first night, you have done something tremendous, and you should be proud of yourself. The days after that are like scaled down versions of the first night. Having gone through that night, you will be better equipped to deal with the days ahead. I can't say much more about this aspect though. It's very much like a roller coaster, you won't know what it's really like until you experience it. Know that many others have gone through it too and came out alright. After a few days, you will probably start to feel better. It can be euphoric to not wake up sick every day. It will seem like you have so much free time you don't know what to do with yourself. You may feel amazing. This is temporary. Enjoy it while you can, but know it doesn't stick around a long time. Having free time can lead you towards drinking again. Idle hands, as they say. Also, you will probably notice a difference in your appetite. I've eaten like a horse since I quit. You may crave sugar all the time. This is both good and bad. First, take advantage of your hunger, and replenish your body! Though I am a heavy guy, when I drank I felt emaciated. It felt like my body was falling apart. If you drank instead of eating, like I did, you may feel this way too. You are malnourished. Take the opportunity to eat a lot, and enjoy it in a way you may have not for a long time. Hunger is the best sauce, so try and eat healthy food you might not normally. Now, the negative to this is obviously, weight gain. Some people lose weight, but don't count it. I want to drill this home, gaining a few pounds, but quitting alcohol is a FAIR TRADE. You are going to feel, and be, much healthier. Additionally, you will be a lot better equipped to exercise than you were before. I used to break a sweat walking up stairs because I was so beat up and tired all the time. That gets better. And about sugar. You will want it. A lot. Your body has become accustomed to huge surges of calories from alcohol. Alcohol is converted to energy almost instantly, and you become accustomed to that. You will crave that instant blood sugar spike, and you will want sugar. If you look into this phenomenon on google, you will find this is a surprisingly polarized subject, actually. Some folks feel that you are not going to lose your extreme urges if you eat sugar, because you have simply substituted in another substance that gives you an energy spike. Caffeine is a subject of debate in this way as well. So I say this: make your own choice. For me, some candy at night has become part of my nightly routine, so I think it helps. Most drinkers don't have a nightly routine besides passing out, so mentally it helps me. It puts me in the state of mind of winding down and going to bed. I feel being mindful that you have these urges, and that you understand what they are is a boon towards helping you control them. There is a lot of reading you can do about the topic, which can be something you do with your free time when not drinking. On that note, I want to get into the meat of sobriety. The hardest part. Staying that way. That is what it comes down to. It is here, unfortunately, where I have the least to offer. I wanted to write this small piece because I felt there was a lack of information about the initial quitting period. When it comes to living sober though, better men and women than myself have written exhaustively about this topic. And so that is what I want to leave you with. My advice is to DIG IN. There is so much to learn about addiction. There are so many support groups, articles and books. Become an expert about your condition. Find an addiction therapist if you can. Go to AA or NA at least once, and see if it's your cup of tea. 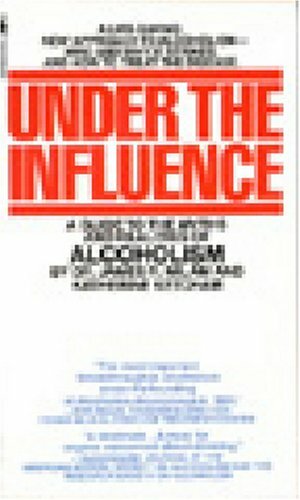 Personally, I can't stand AA, so I immerse myself in reading about the subject. There are online support groups as well. Any meeting you go to, and any counselor you talk to will say, "your sobriety comes first." Run with that. Any time you want to drink, do the opposite! Do something you wouldn't, or couldn't do drunk. This is when the big stuff happens. The beauty is that the possibilities are limitless, and infinitely customizable. I write now. I learned to draw. I work more than I ever have. I got my motorcycle license. I'm learning the guitar. I get up early enough I can go eat breakfast with my family once a week. These things weren't possible when I drank. Figure out something you've never been able to do before because of drinking, and do that thing. And try and help others. I don't know where I first heard this, but I believe that to really learn something, you have to teach it to somebody else. If you can make it one day sober, try and help somebody who hasn't started yet. And keep it up. If you mess up, start over. You will learn something every time. And eventually it will start to click, and things will start to make a little more sense. In the end remember that it's hard. But the hardest things are often the ones most worth doing. And you aren't alone. One of the best books ever written on the subject. I learned a lot from this book. It's cheap, well written, and completely packed with information. My #1 recommendation. For whatever reason, Amazon doesn't seem to carry this anymore, but you can buy it used through them for pretty cheap. Allen Carr is like a sort of mean grandfather who ends up having really good advice. I took away a couple of things from this book, and if you can too it's worth the few dollars it costs used.